We recently erected a massive hammerhead crane at The York in West Brunswick. 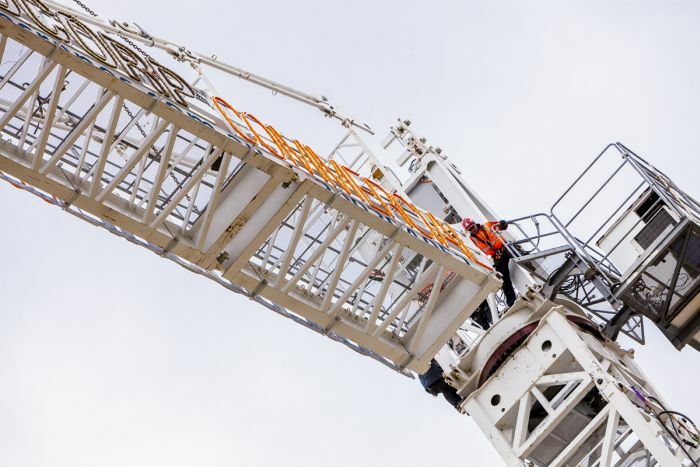 For the enthusiasts this has a 65m boom with an 8 tonne capacity at maximum radius making it one of the largest cranes of its type operating in Melbourne. Check it out next time you are driving to the airport – it’s clearly visible from Citilink.